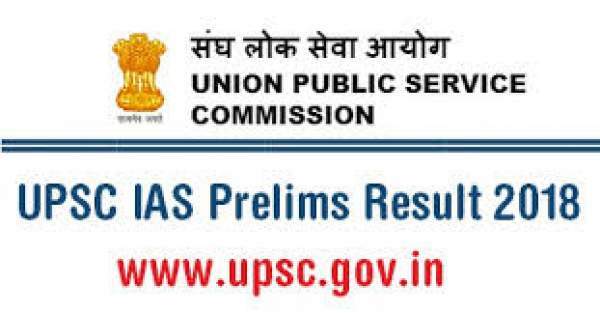 The UPSC Prelims result 2018 will be declared by July 15 as suggested by the latest notification from the Union Public Service Commission. The Civil Services preliminary examination results will be published online on the official websites – upsconline.nic.in and upsc.gov.in. The UPSC civil service exams are conducted to hire for the posts of IAS, IPS, IFS, and other civil services’ posts. It is the common test for the hiring process throughout the country. The Prelims for the year 2018 was conducted on June 3. Significance Indicates roll numbers of candidates who can appear for Civil Services Mains examination. Indicates roll numbers of candidates who can appear for Civil Services Personality Test or Interviews. Marks obtained in Mains exam get added to interview scores for the final result. Selected candidates join Civil Services to services and posts in Indian Administrative Services (IAS), Indian Police Service (IPS), Indian Revenue Service (IRS), Indian Railway Personnel Service (IRPS) and other posts. Candidates who appeared for the UPSC Civil Services Prelims exam 2018 will have to visit the official sites for checking their results and other official notifications & updates from time to time. The qualified candidates will then appear for the UPSC Mains 2018. The Main examination will take place from September 28 to 30 and October 6-7 this year only. The Commission generally declares result with 45 days of conducting the exam. Here’s how you can check the UPSC results 2018 by accessing the site. Go through the following procedure. Look for the link stating UPSC Civil Services results 2018. Next page may ask you to enter your roll number. The page will appear with roll number wise results. On this page, check your result. The qualified candidates will, then, need to submit the DAF (CSM). It will be an online process to be done on the official website. The UPSC CS Preliminary exam was conducted at 73 designated examination centers across the nation. It maintained the unpredictable nature as usual. The Candidates found Paper 2 difficult in comparison to Paper 1. There were lesser questions on government policies as compared to last year. The current affairs’ questions were not so current. The official exam calendar has already been uploaded on the Commission’s website. The examination is an annual phenomenon which is conducted by the Commission every year. It happens in three stages – preliminary, main, and interview. It’s done to select relevant officers for the posts in the Indian Administrative Service (IAS), Indian Foreign Service (IFS), and Indian Police Service (IPS), among others. All the best for your UPSC prelims result 2018. Share your results, if you don’t mind.